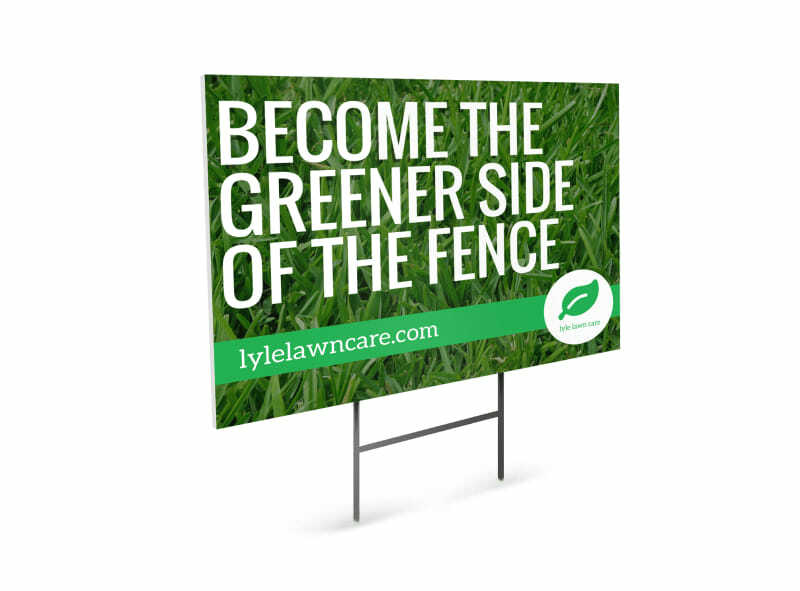 Customize our Green Lawn Care Yard Sign Template and more! Mowing and weed whacking are in your wheelhouse, so let the locals know with this yard sign you design yourself to promote your lawn care business. Our online editor is user-friendly and enables you to easily customize your design with images, text, colors, and other elements of your choice. Drop the trimmer and step away from the mower; begin designing your yard sign today.